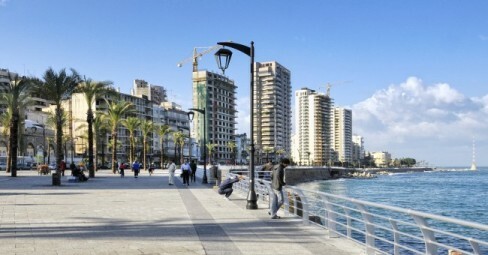 To take advantage of a holiday in Beirut a portion of time should be devoted to explore its rich history and take the rest enjoying leisure that offers by the latest Beirut. Legend has it that Beirut was founded by God in tribute to his beloved wife, the goddess Berout. In order to protect the city, offered it to Poseidon, god of the sea, and to Cabiri, the gods of navigation, giving as a reward for a key position which many civilizations have vied for its long and rich history. Spending holiday in Beirut is like stepping into a city full of contrasts, a charming blend of East and West that will surprise any visitors. Lebanon’s capital have passed Phoenicians, Greeks, Romans, Arabs, Ottomans and French, leaving behind a huge legacy of archaeological treasures that are a must for those wishing to spend an enriching vacation in Beirut. Of great interest are the glacis, five Roman columns, the Roman semicircular exedra, and the Roman baths, the medieval walls, the Crusader Castle, the Great Government Palace, the Ottoman military hospital and the Clock Tower. For those who want to go deeper into the history of this legendary city, we recommend visiting the National Museum of Beirut, one of the richest Middle Eastern antiquities museums. We must not forget to visit the Greek-Orthodox Cathedral of St. George, considered one of the oldest buildings in the city, nor the various mosques spread throughout Beirut. The largest of these is the Great Mosque of Al Omari, built on the ruins of an ancient Byzantine church, which was built on top of the ruins of Roman thermal baths. After a cultural day, the lucky holidaymakers in Beirut can enjoy afternoon shopping in Hamra Street district, west of Beirut, which has plenty of designer shops displaying the latest trends in fashion. In this section you can also find many restaurants and cafes, as well as a variety of cultural offerings in cinemas and theaters. For those seeking a relaxing holiday in Beirut watching a beautiful sunset, Raoucheh is the place you need to go. Located on the waterfront, you can enjoy a wonderful view of the Pigeon Rocks, sixty feet high rocks that separated from the shore and seem to guard this place.